Join us for the 11th Annual Mitzvah Day, an exciting day of volunteerism, activism, and unity that benefits the entire community! This is a community outreach effort coordinated by the Jewish Federation of Durham-Chapel Hill in conjunction with local synagogues and Jewish organizations. With many people off work and school, it’s the chance to come together and do something meaningful. 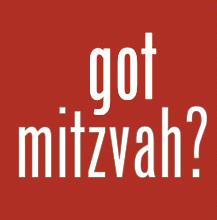 Mitzvah Day kicks off with a community breakfast at 9:00am. After breakfast, volunteers depart to work around the community – cooking meals at local shelters, cleaning parks and trails, delivering gifts to the underprivileged, making blankets for the homeless, and more.